It's been a pretty good year for Harry Potter fans, what with the launch of 'Harry Potter and The Cursed Child' play and the release of magical prequel 'Fantastic Beasts and Where to Find Them'. ITV are screening all eight of the movies in the magical franchise on TV this Christmas. The movie marathon starts on Christmas Eve with 'Harry Potter and the Philosopher's Stone' at 1.30pm and continues until Harry faces Voldemort for the final time in 'Harry Potter and the Deathly Hallows Part 2' on New Year's Eve. 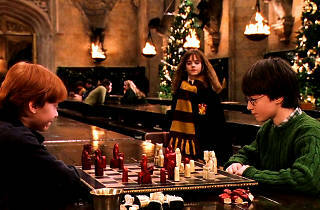 'Harry Potter and the Philosopher's Stone', Christmas Eve at 1.30pm. 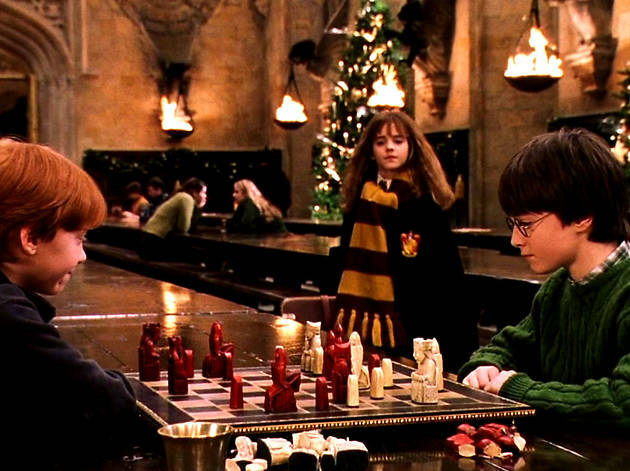 'Harry Potter and the Chamber of Secrets', Christmas Day at 11.55am. 'Harry Potter and the Prisoner of Azkaban', Boxing Day at 4.10pm. 'Harry Potter and the Goblet of Fire', December 27 at 7.30pm. 'Harry Potter and the Order of the Phoenix', December 28 at 7.30pm. 'Harry Potter and the Half-Blood Prince', December 29 at 9pm. 'Harry Potter and the Deathly Hallows Part 1', December 30 at 8pm. 'Harry Potter and the Deathly Hallows Part 2', New Year's Eve at 9pm. More movies? Here are the best movies on TV this Christmas, the best Christmassy movies on TV and the best Christmas movies of all time. Plus, the best movies on Netflix and the best family-friendly kids' movies on Netflix. Also, here's our pick of the best TV to watch this Christmas. Time Out's film team spend more time locked in dark rooms than is good for them. Follow them on Twitter @TimeOutFilm.